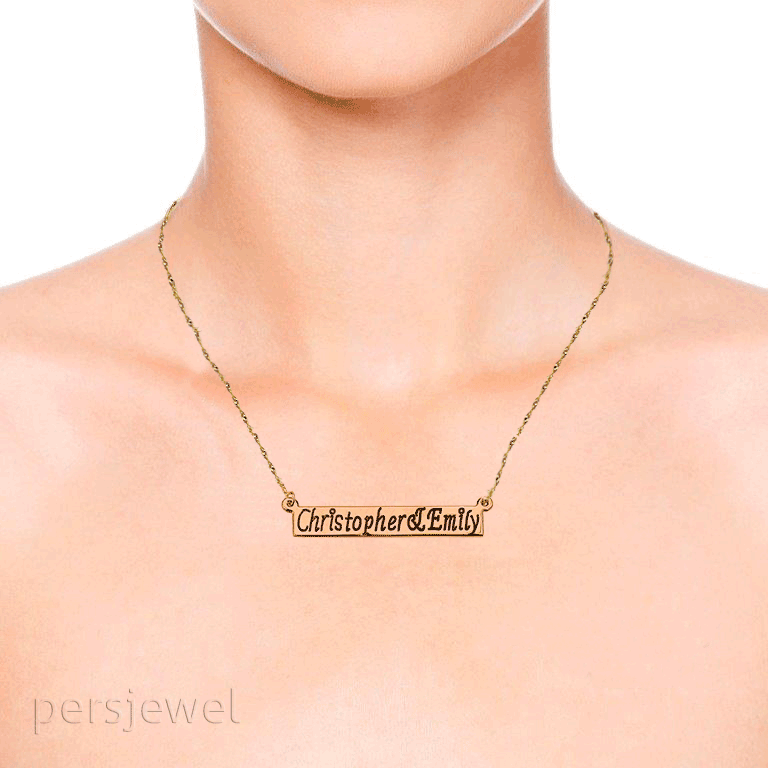 Amazing personalized name necklace bar. 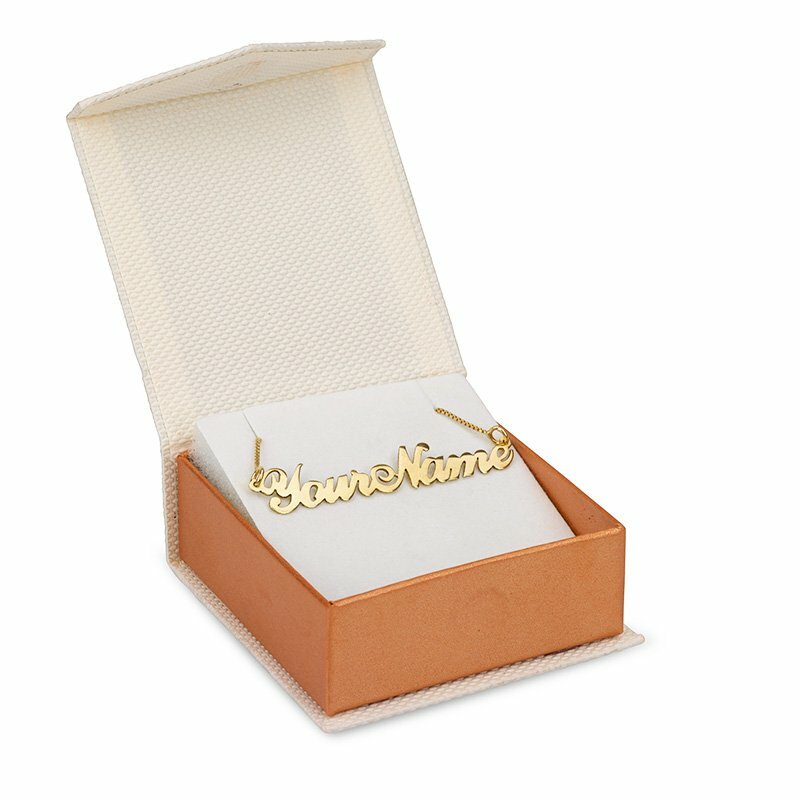 A Bar necklace is very unique, you feel like your wearing a gold bar, "which you are". 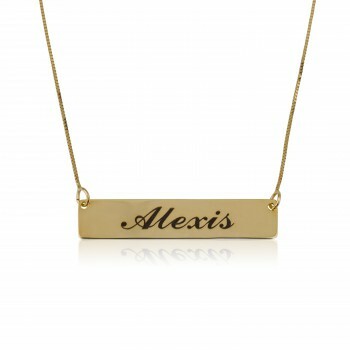 Having your name engraved on it as well, gives your stylish look extra "Glam". 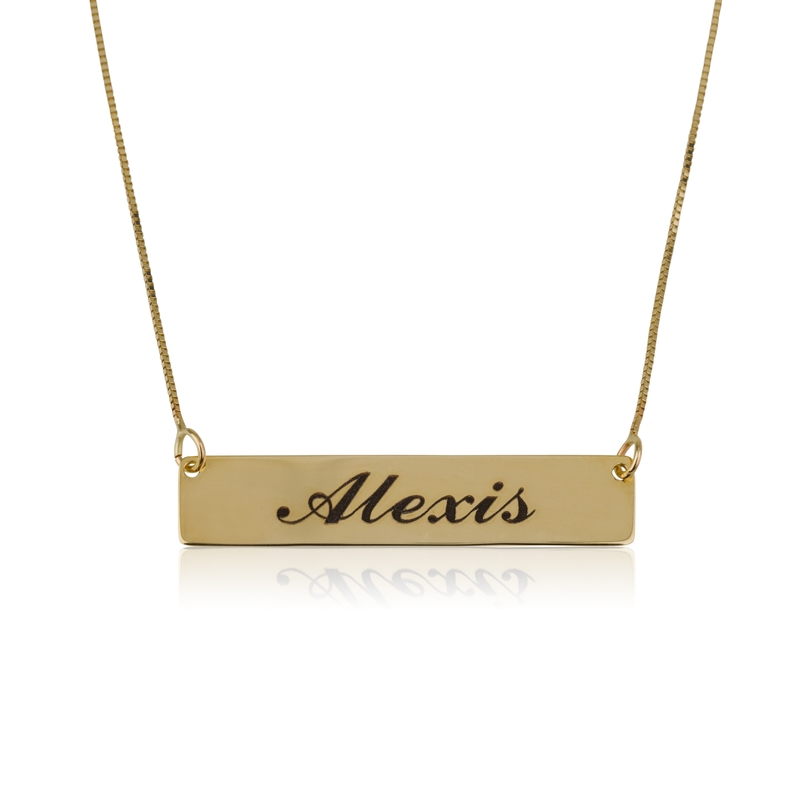 personalized name necklace 18k gold plated bar pendant. 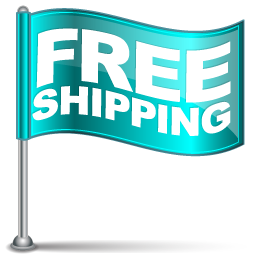 You can select up to 2 Names / words.